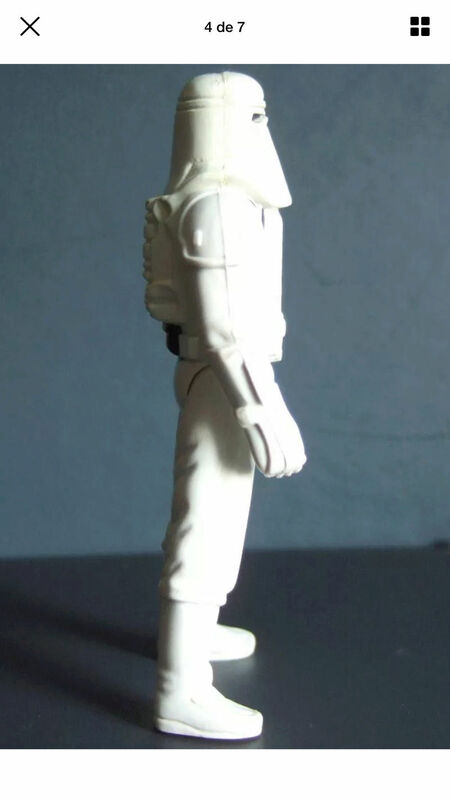 I bought a YPS Hoth Stormtrooper from a seller in the Netherlands. It arrived. 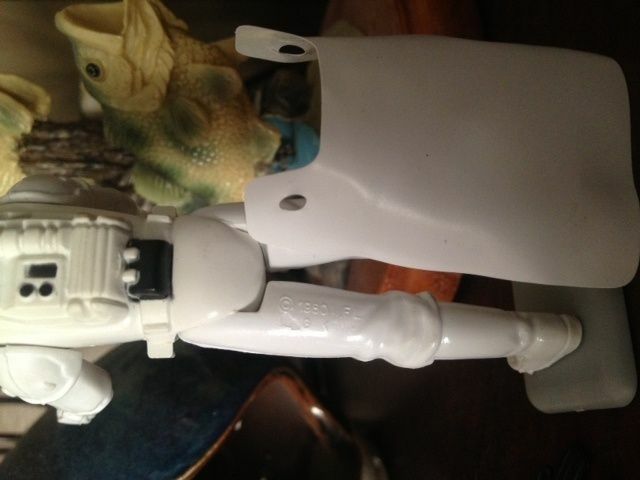 It has the action force gun and the skirt with the circle holes. What has me questioning if I got a real YPS figure is the COO pattern. I thought only a single scar or double scar removing "hong kong" was YPS style. Is that true? This figure has no "hong kong", but it just blank and smooth. 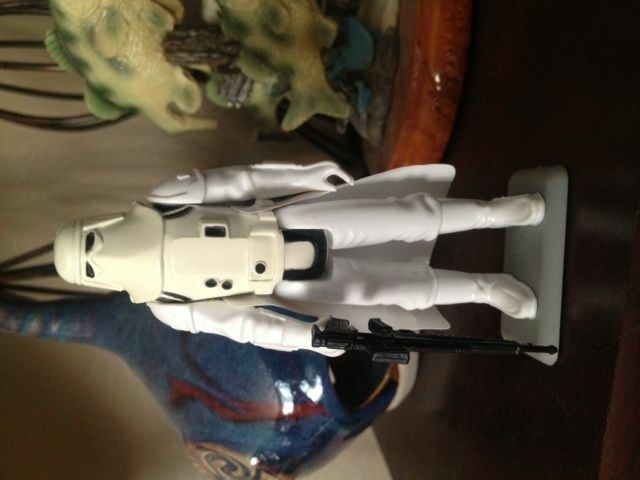 Is this a PBP Hoth Stormtrooper with YPS accessories? I don't think a smooth one has been associated to yps. They should be the deep scar coo also called pbp sometimes. There are all sorts of variations on the scar due to the material used to fill the coo and make a scar being soft and wearing in the mold. Mine has the single scar I haven't heard of any smooth one either. 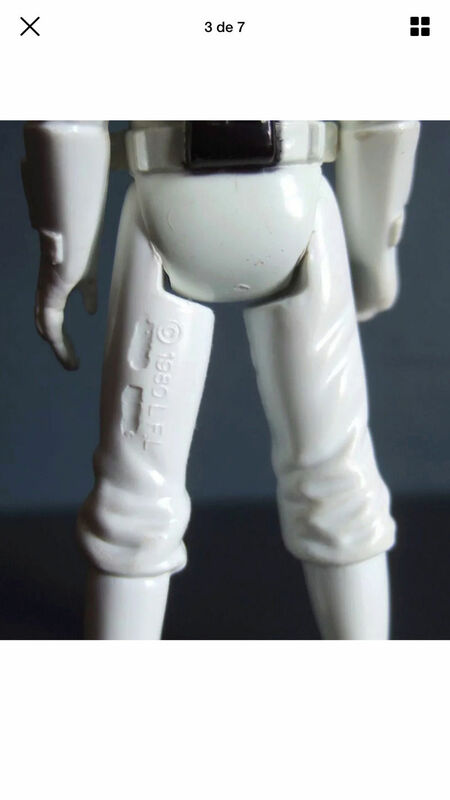 Checked my YPS, has the shallow double scar...although as it has been pointed out there are numerous variations that were made as the fill used to cover the Hong Kong COO began to wear out, so maybe it is possible? My impression was that the YPS was overstock figures packed in with the magazine, so it would make some sense that different sorts of Euro figures may have gotten mixed in. 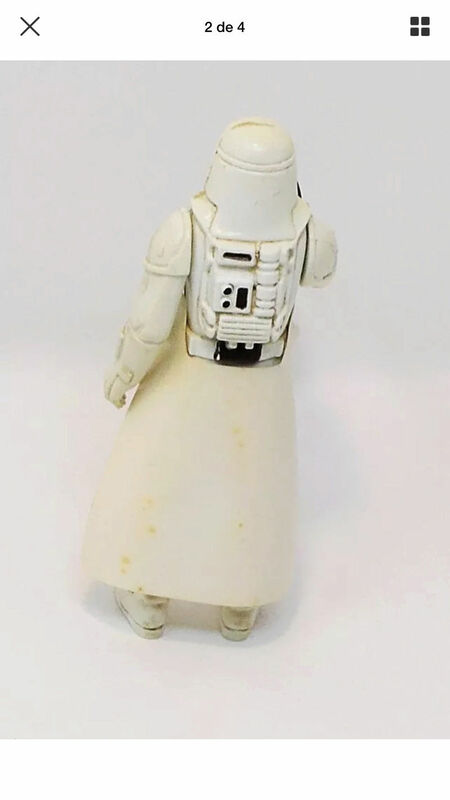 Unfortunately there is another possibility, as you said it may be another more common Euro figure with "YPS" (or repro) accessories. The Action Force rifle was also available in an Action Force blister pack, wasn't it? Can you post pics of the rifle and the skirt? If those could be spotted as fake or verified as legit it might help you figure this out. The "YPS rifle" was part of the Enemy Battle Gear pack. After taking a closer look, there is a slight "scar" under the "ng" area below 'Hong Kong". I was under the impression the YPS figure only had the deep single scar or deep double scar. Maybe that is not the case then and other scar types could have been used. 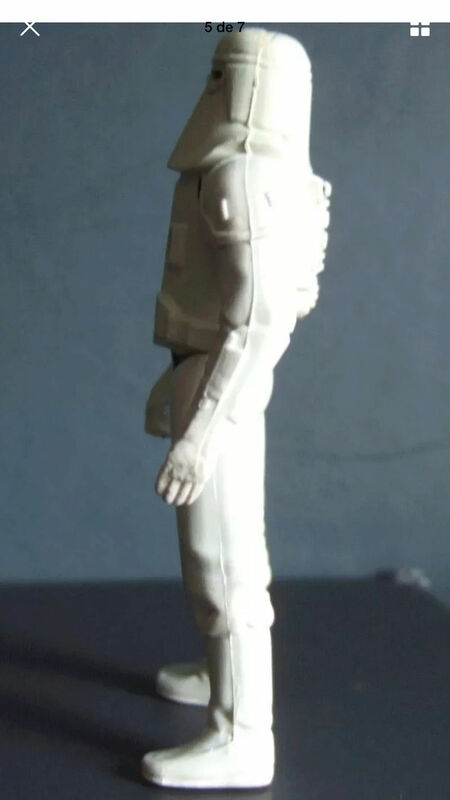 The figure's gun and cape appear to be authentic. 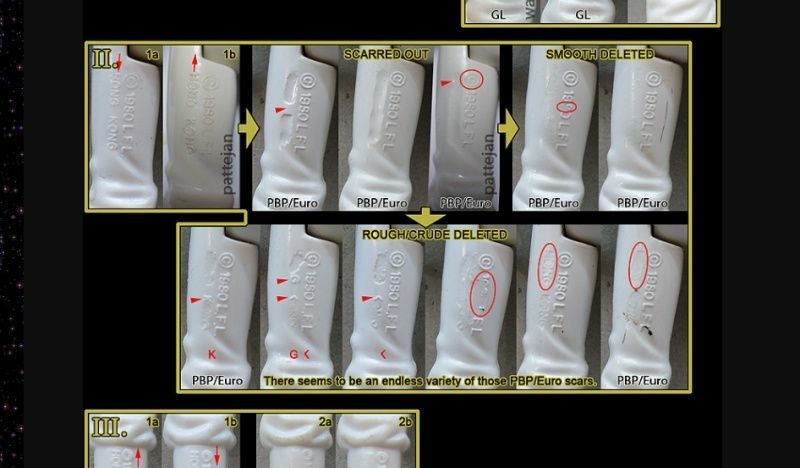 Looking at wolfs guide picture (screen capture below) the various scars and the smooth deleted coo are all in the euro/pbp category just as AJ said. It is possible I assume that this coo could have ended up with the magazine, but I have never seen it labeled as such. If I follow wolff's guide correctly every arrow between the coos means a change in the mold for the coo. 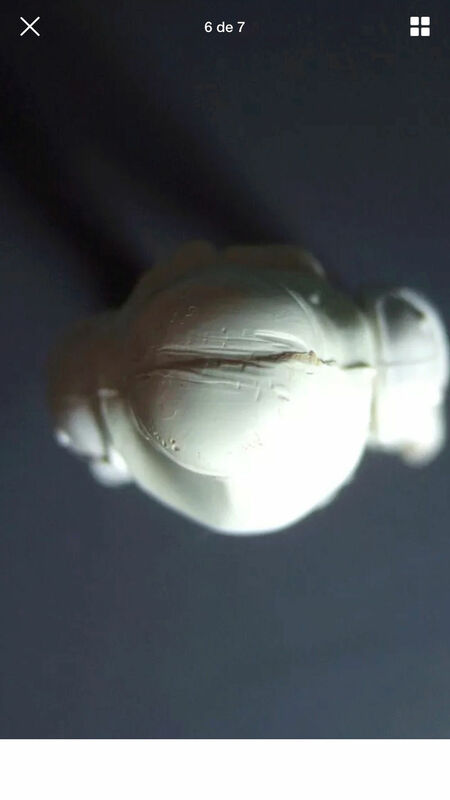 This would mean the smooth/deleted coo was a change in the mold after the various scars. This to me would mean that the scars and the smooth were made at two different times, so they would not be issued together with a limited edition type of giveaway thing. The YPS magazine was only a one month issue right? So unless it just happened to occur at the time when they were changing molds and unless it just happened to occur that the magazine ordered more figures (before and after the mold change to get both types), then logically I would think only one type of coo alteration would have been available at the time. That is just my thinking on it. Hi! 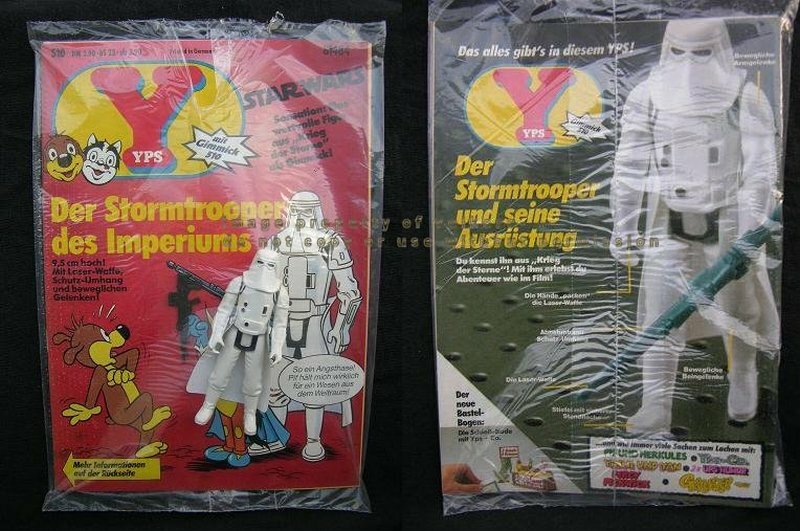 I recently got these two PBP snowtroopers on eBay , awaiting for them to arrive , the first even got his cape ... they were listed as YPS but realize no actual evidence these came with the YPS magazine , would appreciate your comments if indeed trilogo PBP snowtroopers , can post more pictures once they arrive , thanks ! 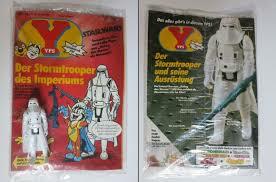 I have heard there are sealed examples of the yps magazine with the trooper having the blue gun. Not having a ton of time to search today I did a quick search and found a old thread where this is mentioned on rs. I have been told either weapon can be found with the magazine version, however the action force one is more desirable as it is a typically non star wars weapon. Went ahead and searched out a few sealed example pics. You can see they have been found with both weapon versions. TBH the money is all wrapped up in the SA80 weapon, and to a lesser extent the correct skirt. 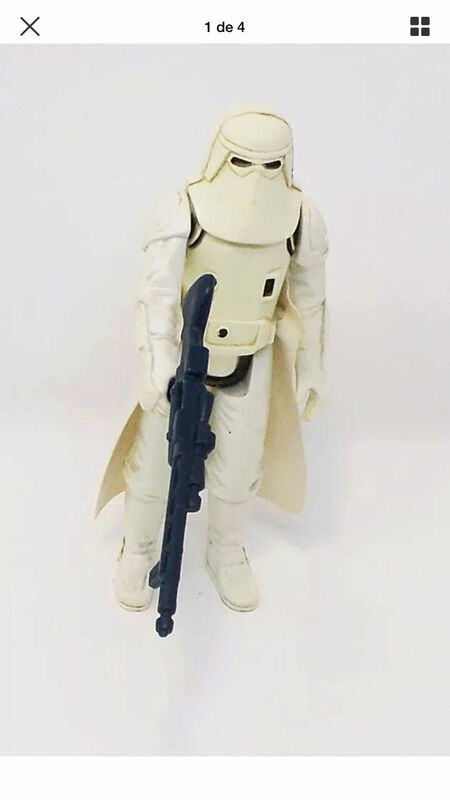 You can pick up a single or double scar PBP Hoth Stormtrooper any day of the week for minimal investment. 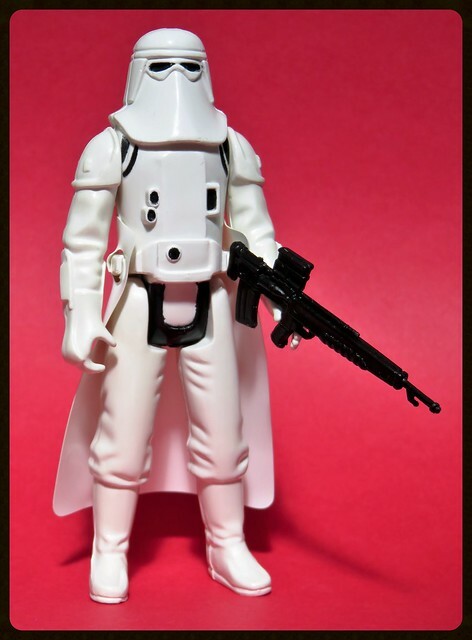 You can pick up a single or double scar PBP Hoth Stormtrooper any day of the week for minimal investment. What do you mean by minimal investment? 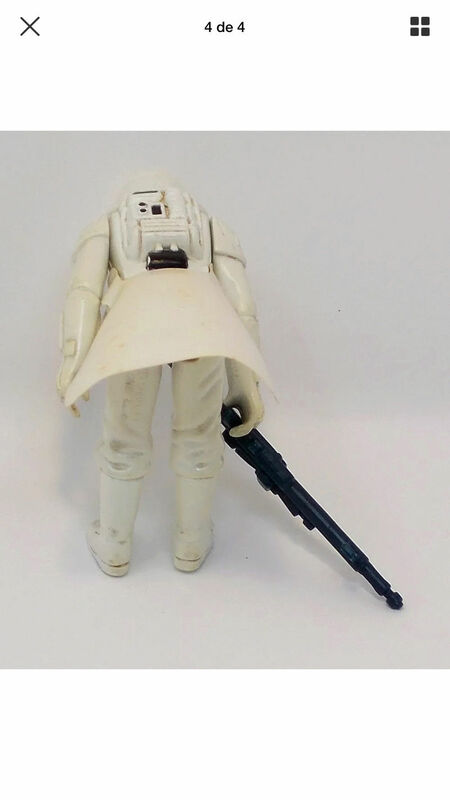 I bought four of them fifteen years ago in germany for an insignificant price ( around $30 ), with the correct capes but without the GI Joe guns. I don't have interest with variant so i sold two of them last year for $100 each on ebay. 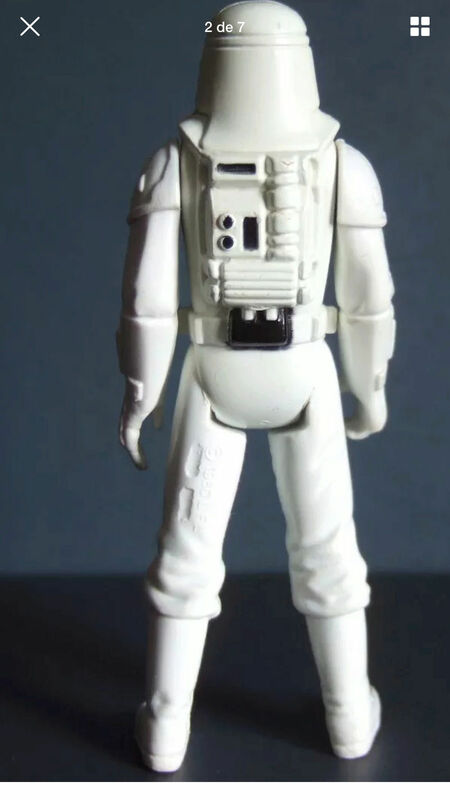 The most common PBP figures that I have come across are Chewie, Vader and Hoth Stormie. 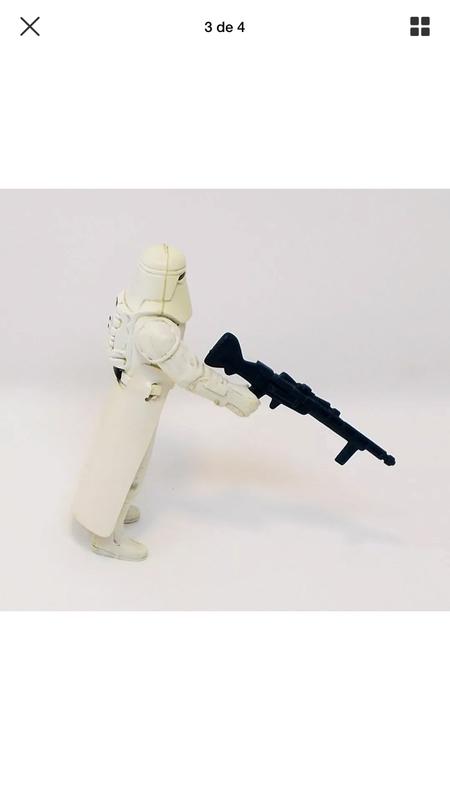 On eBay UK you can pick the single and double Scar Hoth Stormies without accessories for under a £5. 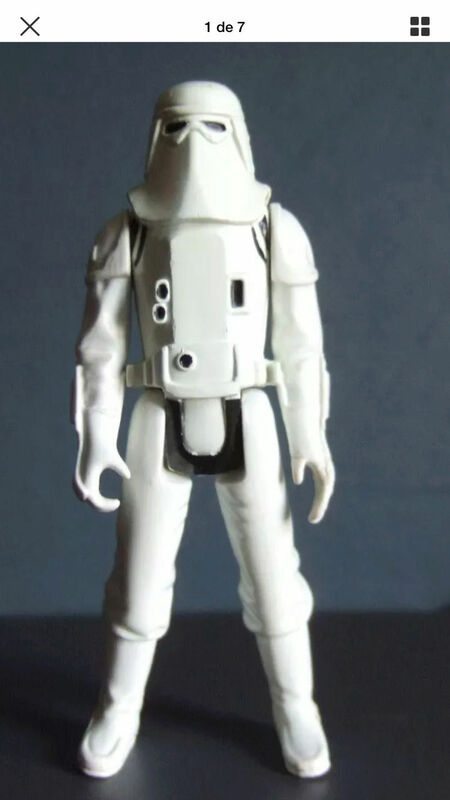 With research and persistence you can pick up a complete one with correct skirt and Imperial Hoth Rifle for under £15. I would never pay more than £45 based on prices sold on UK based eBay and FB Sales. On the other hand the rifle rarely comes up individually and if it does you’d be lucky to get it for less than £60. Complete YPS Stormies sell in the U.K. for between £80 and £125. Subject: Re: Did I just get ripped off on a YPS?